This is a beautiful piano! From the Golden Age of Steinway pianos, this stunner still has the original "piano finish", which has to be seen to be believed! It has just been partially rebuilt as well. It now has a new pin block, tuning pins and strings. The soundboard has undergone some repair as well as being refinished. The harp has been repainted and stenciled to its original glory, using the exact Steinway specifications. 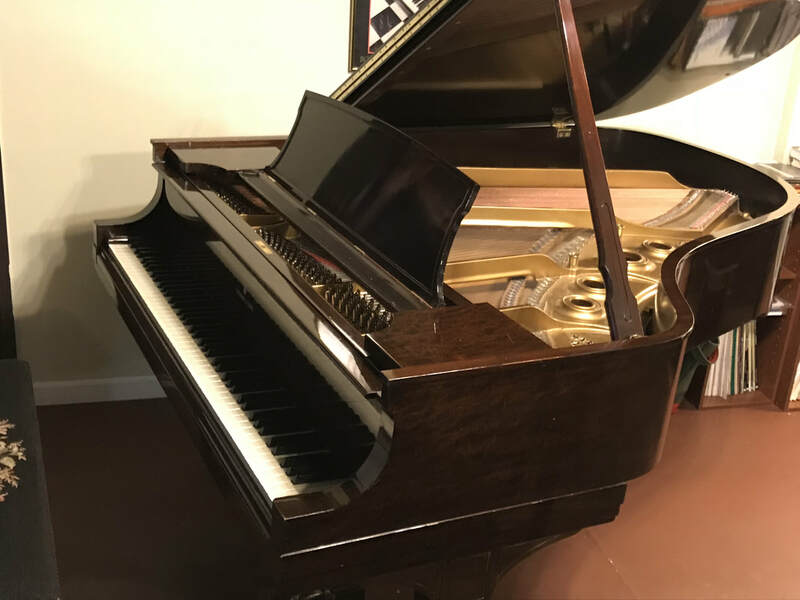 The piano was in one family for a very long time, has just now been put up for sale, with the condition that it would have these significant improvements made. The outside finish was cleaned and buffed, and the original brass looks like new. No other change was deemed necessary! It is stunning! As for the action, the original hammers are still in place. A discerning pianist may want to consider new hammers, but no change has been made, allowing for adjustments to suit the new owner. The original ivory key tops are in stupendous condition! What an amazing touch! A new Steinway of this size costs around $90,000! This is essentially a new piano, with some allowance for its age and character. With the rebuilding, it will promise to serve its new owner well for a long time to come!